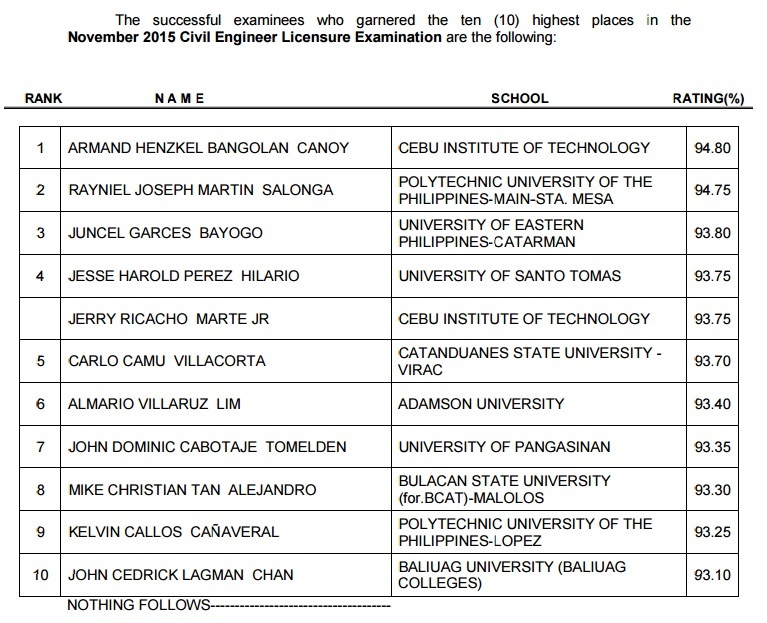 The Professional Regulation Commission (PRC) officially announced on Tuesday, November 24 the complete list of passers for the November 2015 Civil Engineer board exam. 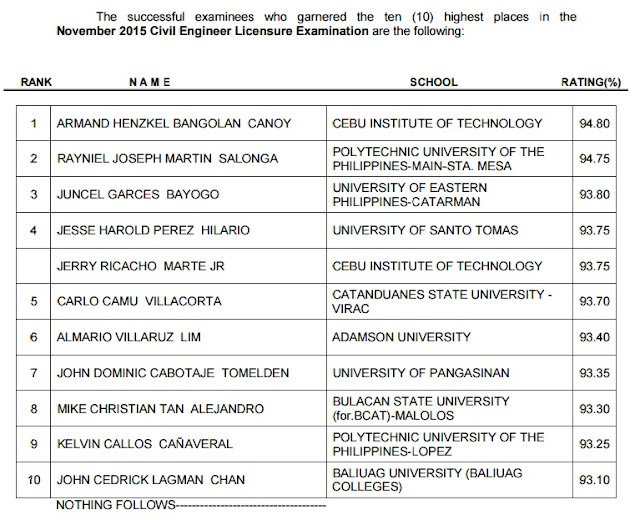 Armand Hezkel Bangolan Canoy, a graduate of Cebu Institute of Technology (CIT) topped the board with 94.80 percent grade. Rayniel Joseph Martin Salonga of Polytechnic University of the Philippines (PUP) - Sta. Mesa placed second with 94.75 rating. It was followed by Juncel Garces Bayogo of the University of Eastern Philippines - Catarman.